2018 has been a year to remember! We have so much to be grateful for, and it is all because of generous sponsors and donors like you. You made 2018 successful and impactful. We look forward to 2019 with hope and anticipation of what’s to come. We are pleased to announce that we have a funding surplus for the 2018 fiscal year! At the beginning of the 3rd quarter, we needed to raise 125,000 to have all budgets fully funded. We were able to cover that and more through the Lord’s faithfulness and your generosity. Thank you from the bottom of our hearts. All of the HELPS programs thrived in 2018, and we are looking forward to even more stories of success and growth in 2019. These are just a few highlights of an amazing 2018! 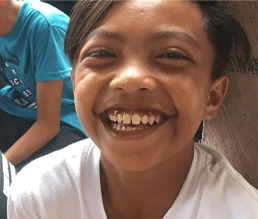 In 2019, we expect to continue to see growth and overwhelming success of our sponsored children, their families, and especially our graduates. Thank you so much for your generosity and support! Please continue to keep LCW in mind for your charitable giving. Let’s continue to give a Hand Up to children in need throughout 2019 and beyond!